With Sian Williams, live on BBC1. 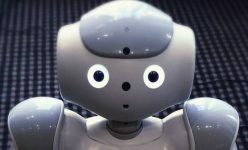 Both Stanley Qubit, the NAO humanoid robot, and his owner Chris Middleton, have appeared several times on BBC TV and radio, and in the media. 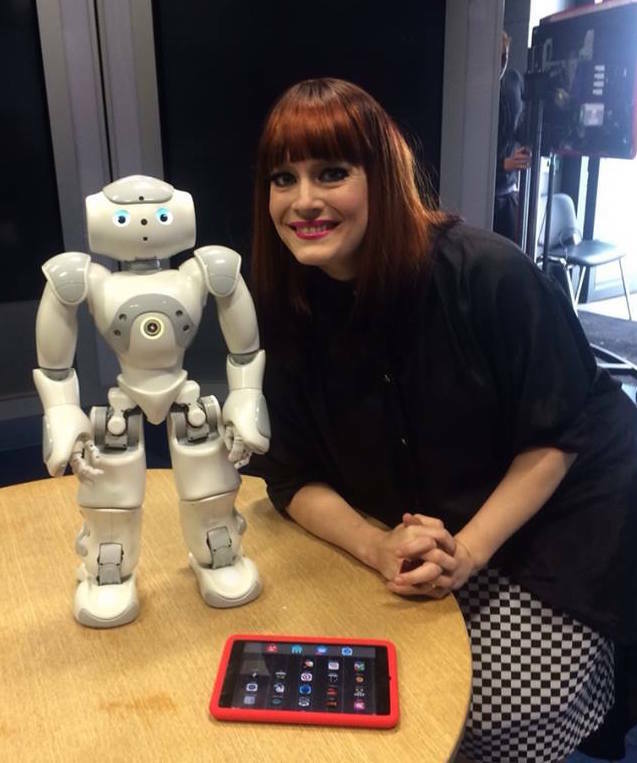 On 30 August 2015, Stanley Qubit co-hosted BBC1’s Sunday Morning Live breakfast programme with Sian Williams, and later appeared in a live debate about the rise of intelligent machines, alongside Ana Matronic and playwright Bonnie Greer. Stanley with broadcaster and musician, Ana Matronic. 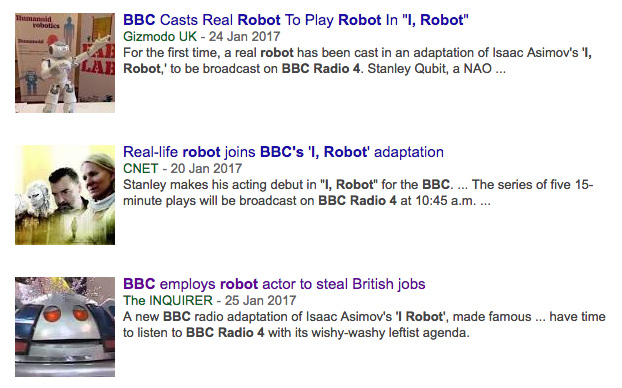 In February 2017, Stanley Qubit made history by becoming the first real robot ever to appear in an adaptation of Isaac Asimov’s ‘I, Robot’ stories, for the BBC. Stanley voiced some of the minor characters, alongside his owner Chris Middleton (who also appeared), in a B7 production for Radio 4. The press certainly got excited about the story. Stanley Qubit’s owner – author, journalist, and robot expert Chris Middleton – has appeared on BBC1, ITN, Radio 2, Radio 5Live, Talk Radio, and local stations, being interviewed live on air about robotics and AI. Go to Chris’ website for in-depth information. 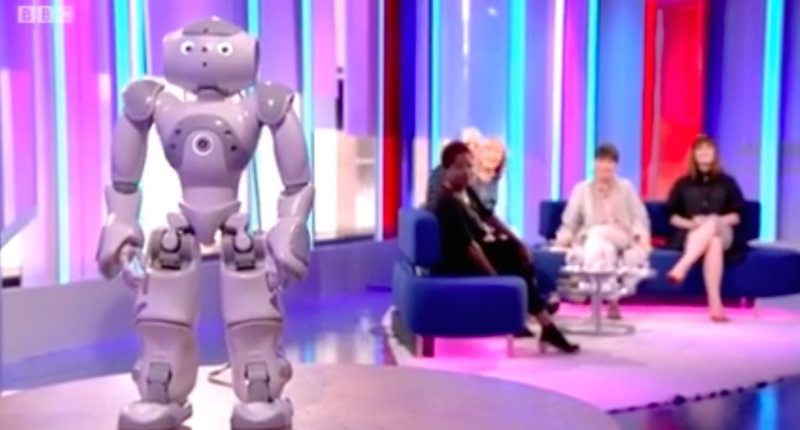 In 2016, Channel 4 approached Chris about the robot starring in an as-yet-unmade reality game show and, separately, about appearing in a documentary about ‘the nature of fear’. Hollywood also got in touch: an LA production company wanted Stanley to appear in an episode of ‘Bones’. Just normal life for the littlest robo!